The Lincoln Park Pool and Bathhouse had its reconstruction funding raided. Press stunts and PR promises from the incumbent mean more long, hot, summers for locals. The Fiscal Year 2013-2014 Capital Improvement Expenditure Program (CIEP) had $1,992,505 that was set aside for the Lincoln Park Pool. This money was transferred away from the pool to the Community Development Block Grant program. The Lincoln Park Pool fund was raided a 2nd time in the same motion. 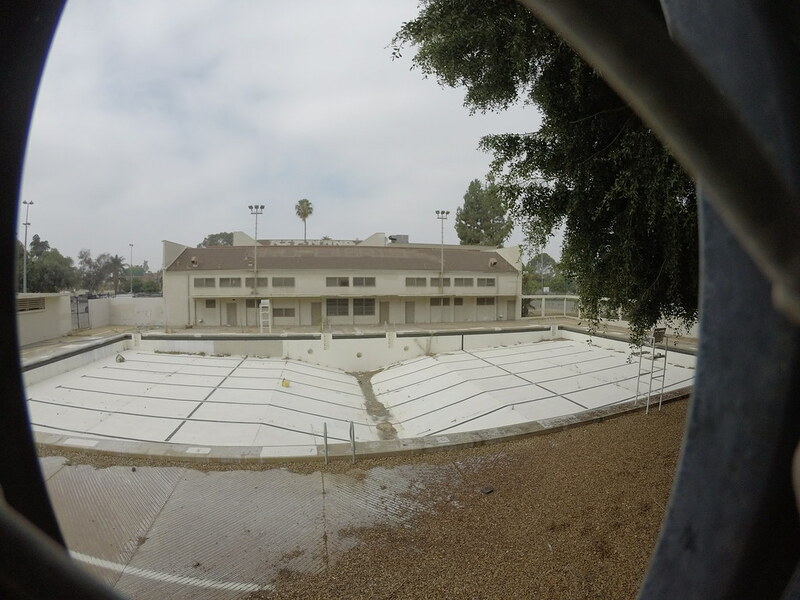 The Lincoln Park Pool and Bathhouse Project had $5,900,000 set aside for it in the FY 2013-2014 CIEP. This fund had $3,029,652 taken from it. The pool, in this one motion, had $5,022,157 taken from it. The CD1 incumbent’s action, taken with zero community input, means the pool has remained closed for the entirety of his term in office and will remain closed for years to come. Some unfamiliar with the area have recommended our youth travel to the pool at Downey Recreation Center. The young people from the area around Lincoln Park have not followed this recommendation for two reasons. First, the trip from Lincoln Park to the Downey Recreation Center is dangerous due to multiple unsafe intersections that enable speeding and risky driver behavior. Second, Lincoln Park has a long standing gang rivalry with the gang in the Clover neighborhood around the Downey Recreation Center. Faced with peril from broken and dangerous streets, compounded with the added risk of harassment, intimidation, or violence the youth in the area around Lincoln Park Pool have stayed put – paying a steep price for the CD1 incumbent councilman’s actions. A consistent pattern has played out during the incumbents term in office: ignore and downplay community needs, paper over everything with press releases. The latest media stunt: a “groundbreaking” on Monday, November 7, 2016 with no ground being broken and no construction contracts signed, a promise of “done by 2019!” to put on the shelf with all the other empty promises and press releases. Many more long, hot, summers stand between the youth of Lincoln Heights and a functioning Lincoln Pool and Bathhouse. On a personal note, this is my neighborhood park. I live just a block away. Making sure our kids have access to amenities like a local pool is critical in this neighborhood. A responsive and concerned council office would openly work with all stakeholders on a project like this. Robbing the construction fund for the Lincoln Park pool in 2013-2014 has cost thousands of local kids many summers worth of healthy fun. We deserve better in Lincoln Heights. We deserve better in the 1st council district.